In 2016, the Gambia registered an official name change with the UN, switching its full formal name from "Republic of the Gambia" to "Islamic Republic of the Gambia". This confirmed the possible name change that we had reported on in our review of 2015. 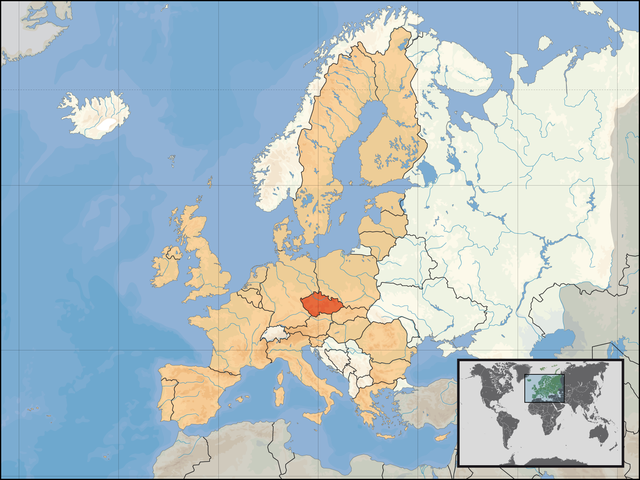 The other big country name news last year came from the Czech Republic, which registered "Czechia" as its official short name, keeping "Czech Republic" for formal circumstances. Also in the news in 2016 was the US government's quiet change of policy regarding the name of Myanmar, also known as Burma. "Burma" was the official name of the country until it was changed to "Myanmar" in 1989, and the US had continued using the old name as a protest against the undemocratic government that initiated the name change. However, this fall the US administration appeared to be ending that policy after using the name "Myanmar" in an official press release. Fiji, which had announced a plan to remove the British "Union Jack" design from its flag in 2015, finally abandoned the plan in August 2016 after months of delays. Meanwhile, New Zealand held the second round of its flag change referendum vote, but citizens chose to keep the old flag rather than change to a new design chosen in a 2015 vote from a government shortlist of candidates. In the US state of Mississippi, a political dispute over the state flag - which includes the battle emblem of the 19th Century separatist Confederate States of America, seen by many as a symbol of slavery - continued into 2017. Though no borders officially changed in 2016, Belgium and the Netherlands did agree on an adjustment to their border, which will go into effect after it's ratified by their legislatures. Meanwhile, consulting firm Stratfor reported that the practical border between Georgia and breakaway South Ossetia is continuing to creep slowly southward, increasing the size of the unrecognized country (there's no officially agreed-upon border between the two countries, since neither Georgia nor most of the world recognizes South Ossetia's independence). Another change to practical border arrangements happened between Australia and its external territory of Norfolk Island, which in 2016 was designated as "domestic" for travel purposes. Australia's external territories are technically considered part of the country already, but have varying degrees of integration with the Australian mainland. And while the Netherlands and Belgium were finalizing their border agreement, another proposed adjustment in Europe died. A popular campaign for Norway to gift a mountaintop to Finland as a 100th birthday present eventually succeeded at being considered by the Norwegian government, but was ultimately rejected. 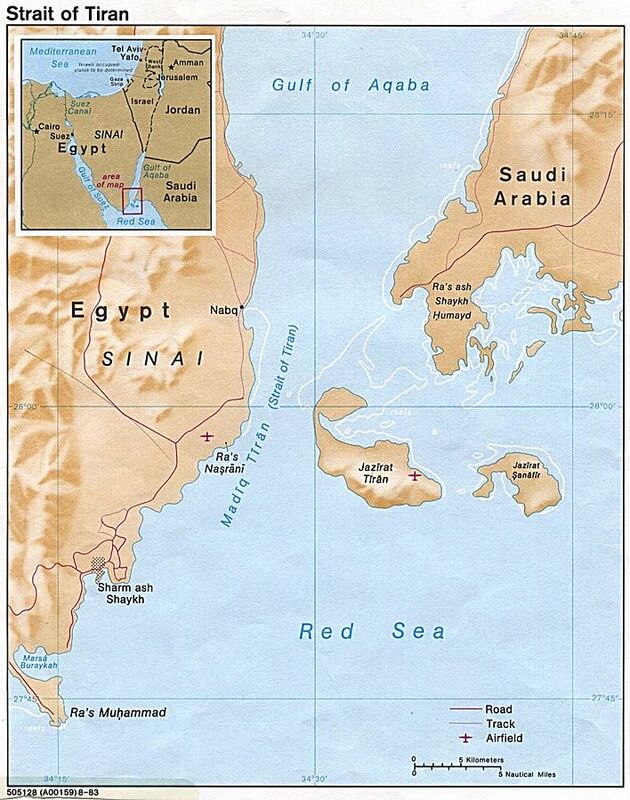 Tiran and Sanafir Islands remain disputed between Egypt and Saudi Arabia, despite the Egyptian government's efforts to give them up. 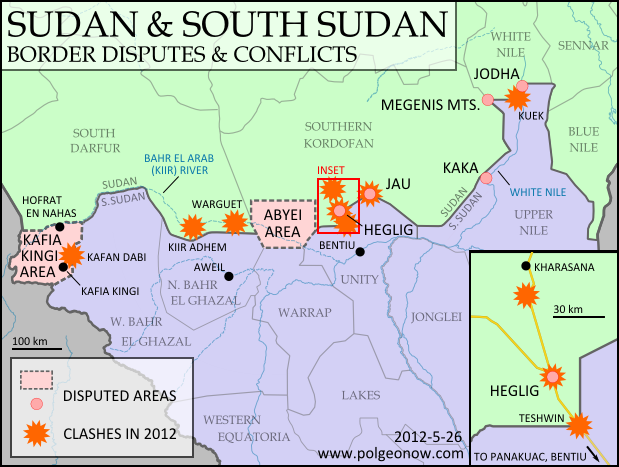 PolGeoNow didn't discover any territorial disputes that were fully resolved in 2016, but one nearly was. In April, the Egyptian government signed a border treaty with Saudi Arabia, controversially giving the disputed islands of Tiran and Sanafir, previously controlled by Egypt, to the Saudis. Saudi Arabia quickly ratified the treaty, leaving the ball in the Egyptian parliament's court. But before the parliament could vote, the deal was blocked by an Egyptian court, and the future of the agreement is still uncertain. Meanwhile, a sort of change territorial control happened at the disputed Scarborough Shoal in the South China Sea, claimed by both China and the Philippines. Chinese ships had been blockading the mostly-underwater reef since 2012, but after a warming of relations between the two countries, they began allowing Philippine ships to fish there again. But China hasn't given up on its ownership of Scarborough Shoal, and reportedly still interferes occasionally with Philippine fishing operations. And though tensions with the Philippines were running lower by the end of 2016, China was still causing controversy in the South China Sea, as it began to place weapons on the artificial islands it's built in the Spratlys, while also clinching its control of the Paracel Islands through the construction of both civilian and military infrastructure. Meanwhile Vietnam, which claims both the Paracels and the Spratlys, began matching China's moves with construction and militarization of its own. Elsewhere in the world's disputed territories, the the Japan-controlled Senkaku/Diaoyu Islands continued to be hotly contested by China, while heavy fighting broke out on the disputed Ethiopia-Eritrea border, and at the line of control between India and Pakistan in disputed Kashmir. On the other hand, the once hotly-disputed border of Sudan and South Sudan began to cool down, as demilitarization plans materialized and both countries said they were ready to work on peacefully settling their border disputes. Other disputed territories in diplomatic focus last year were the Hala'ib Triangle, where Sudan decided to take its dispute with Egypt to the UN Security Council; Gibraltar, which Spain pressured to switch allegiances after the UK's Brexit vote; the Esequibo, which Guyana was preparing to defend anew from longstanding Venezuelan claims; and the Kuril Islands, which claimants Russia and Japan resumed discussions over. For disputes over territorial seas and other waters, see the "Sea Borders and Claims" section below. 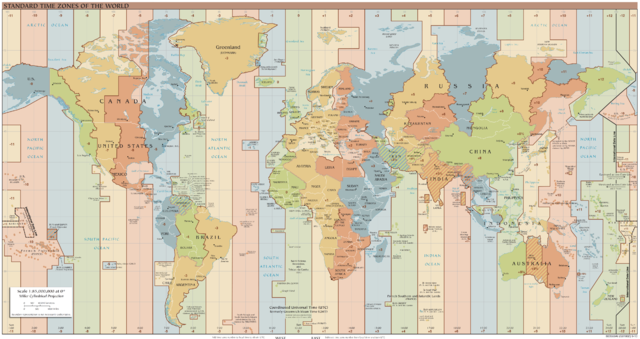 Declarations of Independence: New Countries in 2016? Just as in 2015, last year didn't see any declarations of independence from serious breakaway states or credible aspiring countries. Uganda's government claimed in late November that rebels operating near the border with the Democratic Republic of the Congo were operating a "parallel government" in the name of an independent "Yiira Republic" - but local officials played down the claim, saying the new country was neither a new idea nor a serious proposal. Meanwhile, a rebel threat to declare a "Niger Delta Republic" in southern Nigeria this August was canceled at the last minute, even as the Nigerian government allegedly killed and tortured protesters calling for the return of Biafra, a real breakaway state that existed from 1967-1970. Harder to verify were claims from Libyan officials that leaders of the Saharan Tebu people had launched a quiet diplomatic campaign for an independent country near Libya's borders with Egypt, Sudan, and Chad. 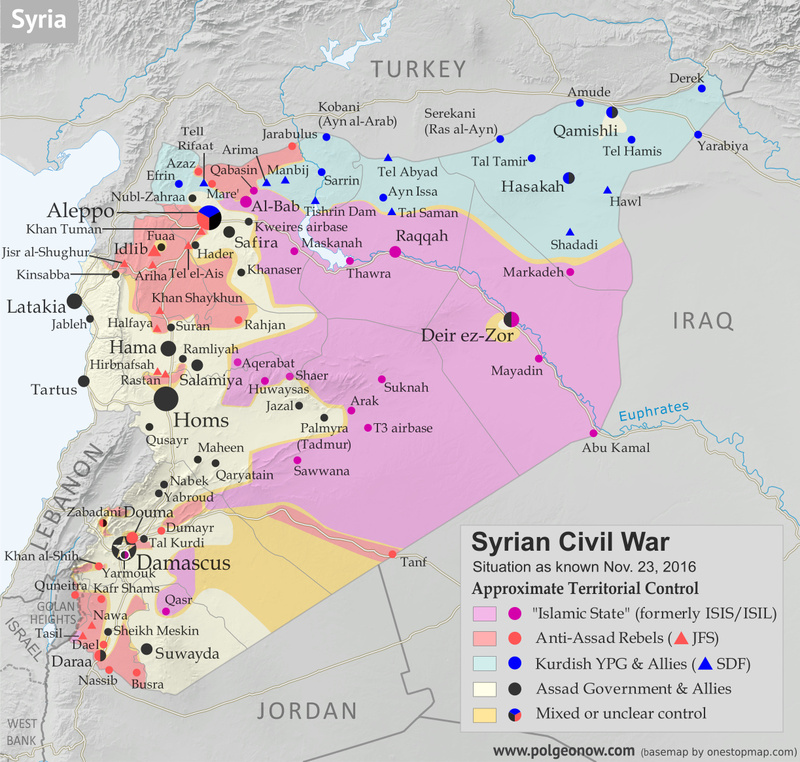 On the other hand, the Kurdish-controlled area of northern Syria, which calls itself "Rojava", began behaving more like an independent country in 2016, declaring a federal system of government without the approval of other parties in Syria's civil war, and established "embassies" in Russia and the breakaway Donetsk People's Republic of Ukraine. But two long-established breakaway states were looking at a possible end to their independence, with progress in negotiations to unify disputed Northern Cyprus with the Republic of Cyprus to its south, plus a plan announced by unrecognized South Ossetia to solidify its separation from Georgia by voting to join Russia. Popular but unlikely to succeed was a demand for the city of London to declare independence from the UK (#Londependence) so it could stay in the European Union after the Brexit vote, a proposal the city's new mayor acknowledged but stopped short of fully endorsing. 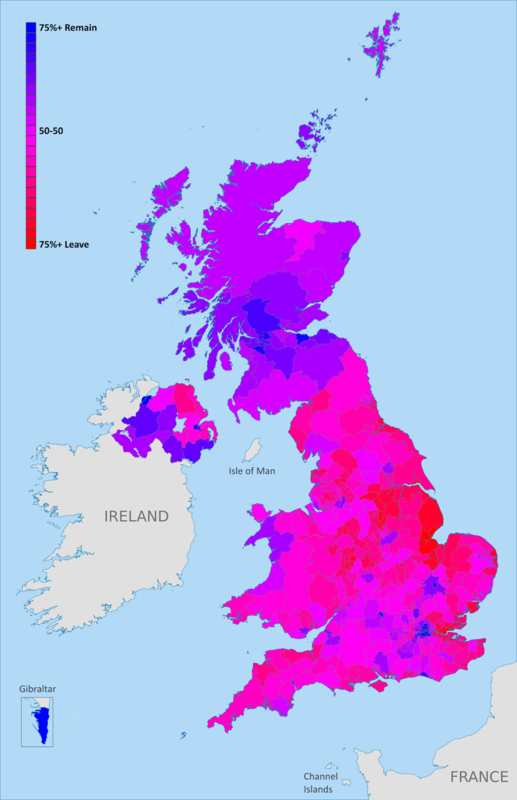 Scotland, on the other hand, was taken very seriously when its government said the Brexit could prompt it to have another vote on independence from the UK (Scotland voted in 2014 to stay in the UK). In Cameroon, some protesters reportedly demanded independence for a majority English-speaking part of the country (most of the country speaks French), while in the US, a small political party claimed that 40% of Californians supported their state declaring independence (and this even before Trump's election as president). All the while, 2015's celebrity micronation, the prospective libertarian utopia of Liberland, struggled to stay relevant as its "government" was blocked from entering its claimed territory, even while facing down a serious internal scandal. But the real dreamer of the year was Russian businessman, scientist, and UNESCO official Dr. Igor Ashurbeiyli, who announced the creation of a new pacifist country in outer space. The would-be nation, called "Asgardia", is apparently a serious proposal, but seems unlikely to succeed at its bid to eventually join the UN, since international law seems to forbid countries from claiming territory in outer space. Diplomatic recognition of disputed, partially-recognized countries continued to be slow in 2016. Despite France bluffing on a promise to recognize Palestinian independence if peace talks fell through, the State of Palestine failed to gain any new recognitions for the first time in a decade - perhaps signaling a return to the stagnant period from 1995 to 2004, when only one country declared its recognition of Palestinian independence. Kosovo did a little better, winning recognition from two UN member countries: Suriname and Singapore. 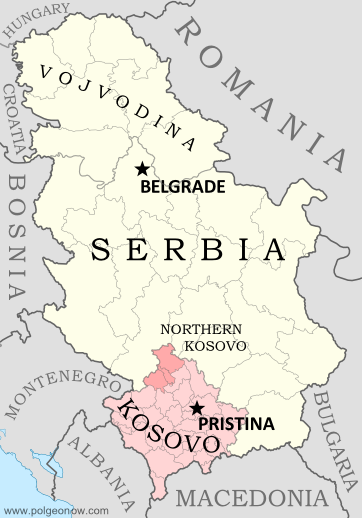 In 2015, one UN member country and two non-members recognized Kosovan independence, so by the numbers, 2016 was either slightly better or slightly worse for Kosovo, depending on how you count. On the other hand, Singapore is probably the most powerful country to declare its recognition of Kosovo since at least 2013. And what's more, both the Union of European Football Associations (UEFA) and the International Federation of Association Football (FIFA) granted Kosovo membership in 2016, qualifying it to play in European soccer matches or even compete in future World Cups. The Sahrawi Arab Democratic Republic (SADR), the claimed independent government of Western Sahara, saw a small uptick in official support, with Panama reinstating diplomatic relations with the disputed country after suspending them in 2013. This is the second year in a row that the only change to the SADR's recognition has been a reinstatement from a single country. Meanwhile UN member country Israel, which is still missing recognition from about 30 of the world's countries, saw a renewal of diplomatic relations with Guinea, which broke relations in 1967 and was recently considered one of the countries that didn't recognize Israeli independence. Turkey, though it already recognized Israel, upgraded its diplomatic relations with the country in 2016, after downgrading them 2011. Also in 2016, São Tomé and Príncipe announced it would no longer recognize the "Republic of China" government that controls disputed Taiwan, reducing the number of countries with official ties to Taiwan to just 21. Soon afterwards, São Tomé established full diplomatic ties with the People's Republic of China (PRC), the UN-recognized government that controls Mainland China. The Gambia also established diplomatic relations with the PRC in 2016, after dropping relations with Taiwan the year before. The PRC is still missing recognition from the 21 countries that recognize Taiwan's government instead. The British territory of Gibraltar also managed to win membership in FIFA in 2016, even though the organization normally doesn't allow dependencies to join anymore. The biggest news about membership in international organizations was, of course, the UK's "Brexit" vote to leave the European Union (EU), but the country is still part of the EU until it completes the withdrawal process (probably in 2018 or so). Elsewhere, Burundi, South Africa, and the Gambia announced they were withdrawing from the International Criminal Court (ICC), but because they have already ratified the treaty - unlike Russia - the law says they remain members for one more year. Meanwhile, Paraguay ratified Bolivia's membership in Mercosur, leaving only Brazil to sign on before the country can join, and Morocco applied to join the African Union (AU) in a bid that would succeed in early 2017. The disputed country of Taiwan, on the other hand, was refused entry into INTERPOL, and Cuba announced it wouldn't try to join the Organization of American States (OAS) after the group threatened to kick out Cuban ally Venezuela. And in the gray areas between countries, Syria's powerful Jabhat al-Nusra (Nusra Front) rebel group withdrew from international terror network Al Qaeda, changing its name to Jabhat Fateh al-Sham and promising to focus on toppling the Syrian government. 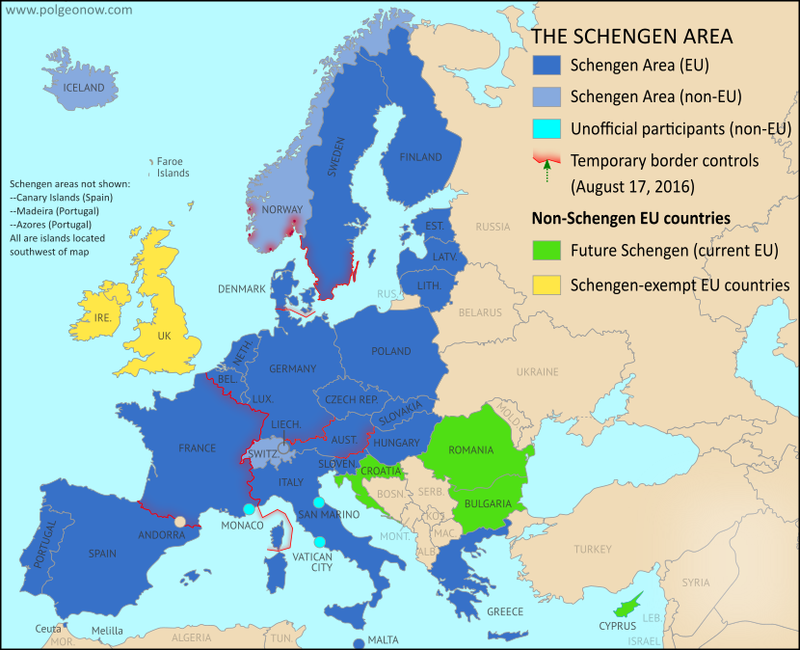 Besides the Brexit, another political storm that dominated Europe were the cracks appearing in the continent's free-travel Schengen Area, as member countries rushed to limit the entry of millions of Syrian and other refugees. Though threats to kick Greece out of the program never materialized, several countries did introduce "temporary" controls along borders that can normally be crossed freely. An agreement was reached in the summer to reduce the miles of border eligible for controls, but the remaining checks were still in place at the end of the year. 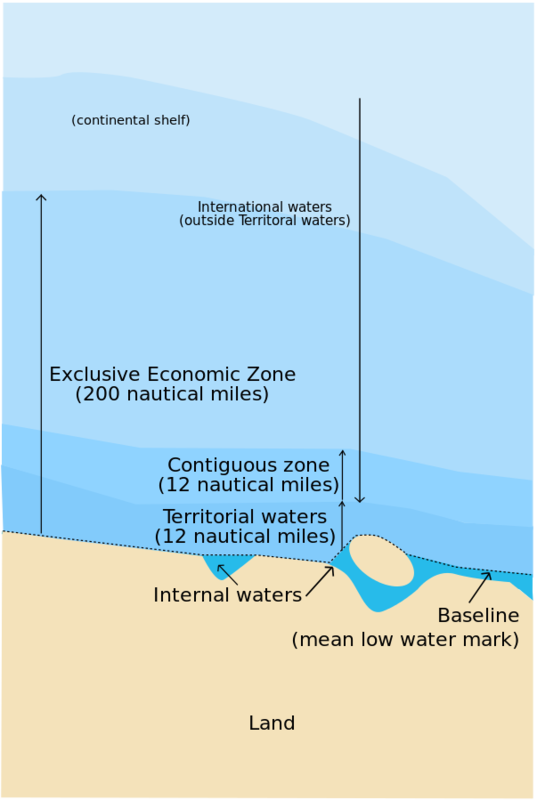 Jurisdiction over much of the world's ocean is still unresolved, with neighboring countries often disagreeing on where the lines fall between their respective waters, which include both territorial seas (a thin strip along the coast) and exclusive economic zones (EEZ; a much wider band where they have economic control but not full sovereignty). International treaty defines how much of the sea countries can claim for their own. The biggest maritime boundary news of 2016 was a ruling by the Permanent Court of Arbitration in the Hague, favoring the Philippines in several maritime disputes with China. China refused to participate in the case, and denounced the results as invalid, but the court's ruling was widely considered legitimate by international law scholars, and is likely to set some legal precedents even if China never complies. The case involved the Spratly Islands and Scarborough Shoal in the South China Sea (called the "West Philippine Sea" by patriotic Filipinos), parts of which are claimed by the Philippines, China, Taiwan, Vietnam, and Malaysia. The court declined to rule on control of the islands themselves, saying the small pieces of land and their 12-mile territorial waters would remain disputed for now. What it did decide was that none of the Spratlys counted as a proper habitable island, meaning they don't get their own 200-mile EEZs, and any water outside their 12-mile territorial seas but within 200 miles of other Philippine territory is the EEZ of the Philippines. It also ruled that China has no claim to any EEZ in the South China Sea beyond 200 miles from the Chinese mainland (despite the country's "nine-dash line" claim), and that some of the Spratly reefs don't count as land at all and are therefore part of the the Philippine EEZ. The decision that the islands are too small to generate EEZs could make an impact around the world, since it's the first time a court has ruled on just how habitable an island has to be to qualify. The definition the court settled on was more strict than some had expected, excluding even islands with permanent land-based military facilities, like Taiwan-controlled Itu Aba. This precedent means many EEZs around the world could be ruled invalid in the future because the islands they're measured from aren't habitable enough to count. Elsewhere in the South China Sea, an apparently new territorial dispute popped up. China, still insisting on its unconventional "nine-dash line" claim to most of the sea's waters and islands, announced that it had "overlapping claims" with Indonesia near the Natuna Islands. What it meant was that the nine-dash line cuts off a chunk of what would otherwise be Indonesia's undisputed EEZ surrounding the islands. 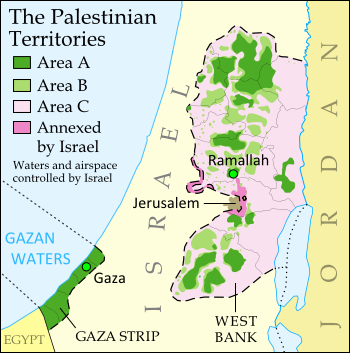 The Gaza Strip's territorial waters controlled by Israel and not well defined. Meanwhile, in the world's partially-recognized countries... The disputed Sahrawi Arab Democratic Republic (SADR), which claims to be the government of an independent Western Sahara (and controls a small part of it), reportedly submitted a detailed EEZ claim to the UN, including boundaries with neighboring countries. However, its claim won't take effect anytime soon, since its entire claimed coastline is controlled by Morocco, and the UN doesn't consider Western Sahara an independent country in the first place. Reports also spread of a coming agreement between Egypt and Palestine on their sea border, but the Egyptian government denied it. Palestine's potential territorial sea and EEZ are currently controlled by Israel, but their boundaries aren't well defined. International law also allows countries to claim rights to resources on the "continental shelf" (nearby seabed) well beyond the 200 nautical mile limit of their EEZs, but their claims have to first be registered with and approved by the UN. No new submissions came in during 2016, but the UN did approve submissions registered by Iceland, Argentina, Uruguay, and the Cook Islands (a nearly-independent country associated with New Zealand). Apparently there's a seven-year backlog in the approval process, since all these submissions were registered in 2009. The approval of Argentina's submission caused a bit of a stir, with some news headlines and Argentine officials incorrectly claiming that it endorsed Argentina's claims over the waters of the disputed Falkland/Malvinas Islands. In fact, the UN carefully avoided ruling on those parts of the claim, only approving Argentine continental shelf rights in areas out of range of the islands. Argentina soon afterwards submitted revisions for parts of its claim, but the details haven't been made public yet. Though creating a new US state is a major legislative ordeal, many countries' provinces or other divisions are created, redrawn, or abolished at will. The many changes to the world's administrative subdivisions can be hard to keep track of, but luckily we have help from resources like the Statoids website and the ISO 3166-2 standard. The year 2016, for its part, kicked off with a major reorganization of France's top-level divisions, called "regions". 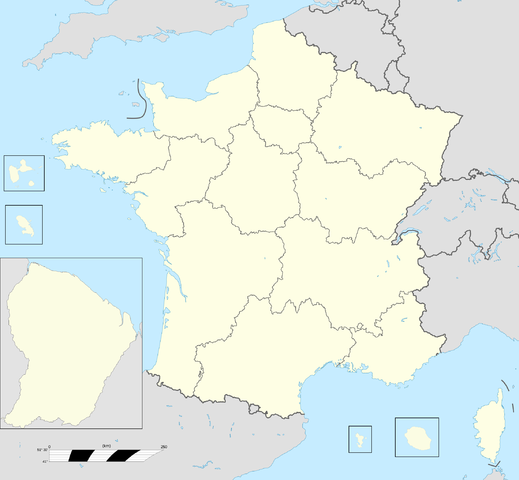 As part of long-planned reforms, on January 1, 2016 France's 22 regions were merged and consolidated into just 13. Later in the year, several of the newly-merged regions changed their names. Meanwhile, Mali announced that it was creating two new province-like "regions" in its northern desert, splitting off northern Timbuktu Region into Taoudenni Region, and eastern Gao Region into Menaka Region. 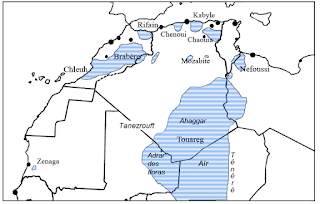 Unlike the main cities of Timbuktu and Gao, Tuareg people form the majority in these newly-created regions, and it's possible the reforms are intended to calm Tuareg-led groups that have long called for independence or increased self-governance in the "Azawad" area. Also in 2016, Equatorial Guinea reportedly created a new province in preparation for moving its capital to the newly-built city of Djibloho, while Mexico changed the name of its capital district from "Mexico, Distrito Federal" (DF) to just "Ciudad de Mexico" (CDMX). "Ciudad de Mexico", or Mexico City, was already the name of the city located inside the district. The name change is part of a plan to gradually give the district more self-governance, as if it were one of Mexico's states. 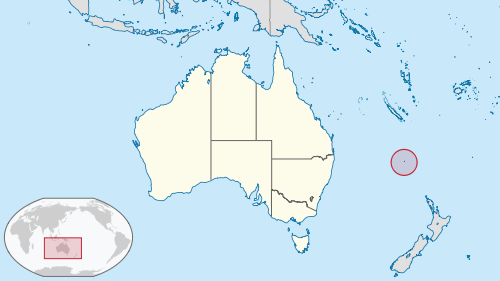 Last year also saw the inclusion of Australian external territory Norfolk Island's forced integration into Australia's mainland system of governance. Many news outlets, including PolGeoNow, mistakenly reported that the territory was being merged into the state of New South Wales (NSW). In fact, the reforms put the NSW state government in charge of managing government services on the tiny island, but didn't make it officially part of the state. In another sign of Norfolk remaining technically outside of NSW, islanders will vote in federal elections as residents of the Australian Capital Territory. Though neither is part of its country's main system of subdivisions, 2016 brought an expansion to some US Indian reservations and reductions in power to Uganda's traditional kingdoms. Tajikistan's Gorno-Badakhshan special region also saw a decrease in self-governance, while legislators in the Philippines rejected the creation of a self-governing Bangsamoro region in the country's Muslim-majority south, even as the president proposed turning the whole country into a federation of self-governed states like the US. A 2015 effort by South Sudan's president to split up the country's 10 states into 28 remained in limbo last year, as the government and rebels struggled to find consensus on a national peace deal. 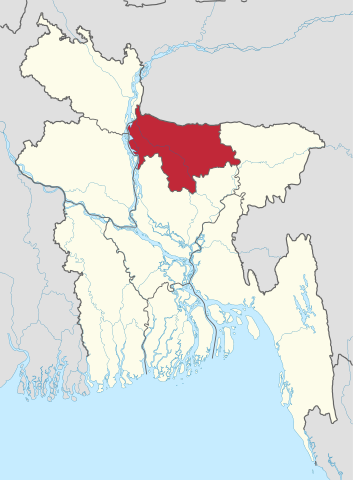 India's Assam state created two new districts before changing its mind and withdrawing their district status, but also announced the creation of a new Majuli district on a 400 sq km river island. Meanwhile, the Indian state of Manipur controversially split most of its districts in half, increasing the total number from 9 to 16. There were also some major changes from 2015 that only came to our attention in the past year: Bangladesh created the new province-level Mymensingh Division, tiny Luxembourg abolished one of its top-level districts, Costa Rica changed the name of one of its counties, and India's states created several new lower-level districts (Kra Daadi and Siang in Arunachal Pradesh, and Biswanath Chariali, Hojai, West Karbi Anglong, Charaideu and South Salmara-Mankachar in Assam). Belarus minted its first regular-use coins in 2009, but didn't release them until 2016. Unlike the previous year, no currencies died or were born in 2016. 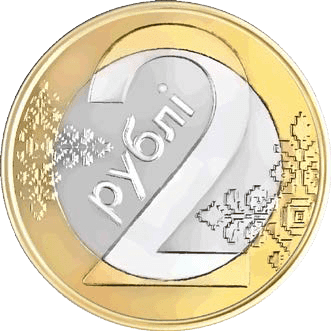 But Belarus did change the value of its money, introducing the first ever Belarussian ruble coins (other than special collectors' coins), and both India and Venezuela ran into trouble when they rushed to replace existing paper money with newer bills. Part of Venezuela's change was introducing a new 20,000 Bolivar bill, after runaway inflation reduced the value of the previous biggest note, the 100 Bolivar, to just two US cents. The growth of Monaco since 1861. Part of the green "Le Portier" zone is now being "reclaimed" from the sea. In September the tiny country of Monaco approved a project to expand its land area by constructing a new neighborhood of luxury apartments, parks, and seaside facilities by filling in a small piece of the Mediterranean Sea. The new development is only six hectares (15 acres) in size, but then Monaco's entire land area is just 2.02 square kilometers (0.78 square miles) - meaning the expansion will increase the country's size by three percent! China has also been hard at work taking land from the sea, most controversially by filling in remote coral reefs to create livable islands in the disputed South China Sea - with rival claimant Vietnam following suit (see also "Disputed Territorities" and "Sea Borders and Claims" above). But China's also been steadily expanding its coastlines on the mainland to build industrial facilities. This is probably just the biggest of many such projects going on around the world, but it's still no Monaco: Even by upper estimates, the land reclaimed by China in recent decades only equals about one tenth of one percent of the huge country's total land area. On the other end of the spectrum, Solomon Islands has reportedly been losing land area, with at least five tiny islands already lost to rising sea levels in recent years, and at least one inhabited island cut in half by related erosion. Technically, these coastline changes may not effect their countries' total territorial size, since the surrounding seas were already in their territorial waters. International law is pretty clear that territorial waters don't expand outwards when you build artificial islands and fill in coastal waters. However, it's not completely clear whether sea territory shrinks with the disappearance of the islands or shores it's measured from. 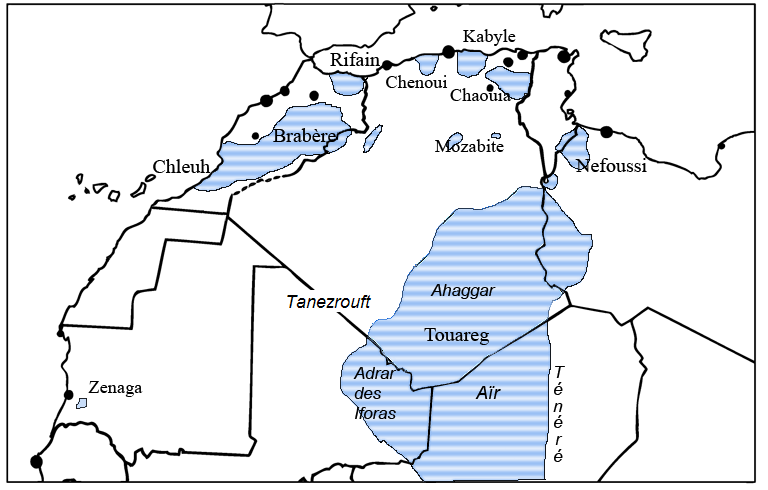 Areas where Amazigh and related languages are dominant. Another thing that we tend to think of as a defining feature of a country is its official language or languages, and at least one country made a change to its language policy in 2016. Algeria, an Arab-majority country whose sole official tongue was Arabic until this past year (despite French being widely used in business and education), added Amazigh, or Berber, as a second official language. Berbers are the pre-Arab inhabitants of northwestern Africa, and form something a kind of indigenous group within countries like Algeria and Morocco. What major political geography events will happen in 2017? Stay tuned to PolGeoNow for lots more geography news and maps! Also, don't forget to follow us on Twitter for extra reporting on world events, and add us on Facebook or Tumblr to get updates when new articles are published! Learn about more of last year's geography changes!